Hard to believe, but Sylvester and Tweety hysterical cat and cool bird, scoundrel of a predator and ever-elusive prey—are more than fifty years old. Yes, America's favorite Saturday-morning duo, matinee-film idols of several earlier generations of children, has been with us that long—leading the Warner Bros. parade of belovedly manic 'toons into our collective hearts. 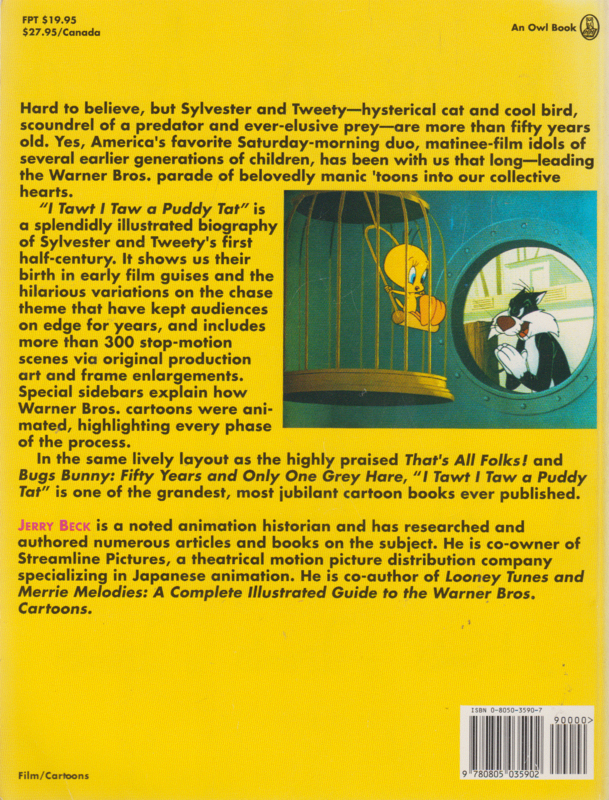 "I Tawt I Taw a Puddy Tat" is a splendidly illustrated biography of Sylvester and Tweety's first half-century. It shows us their birth in early film guises and the hilarious variations on the chase theme that have kept audiences on edge for years, and includes more than 300 stop-motion scenes via original production art and frame enlargements. Special sidebars explain how Warner Bros. cartoons were ani-mated, highlighting every phase of the process. In the same lively layout as the highly praised That's All Folks! 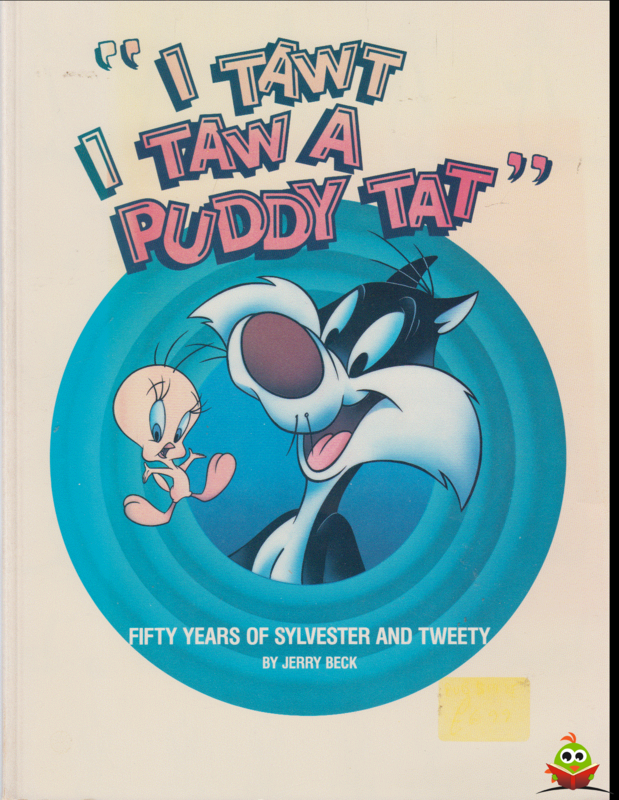 and Bugs Bunny: Fifty Years and Only One Grey Hare, "I Tawt I Taw a Puddy Tat" is one of the grandest, most jubilant cartoon books ever published. Jerry Beck is a noted animation historian and has researched and authored numerous articles and books on the subject. He is co-owner of Streamline Pictures, a theatrical motion picture distribution company specializing in Japanese animation. He is co-author of Looney Tunes and Merrie Melodies: A Complete Illustrated Guide to the Warner Bros. Cartoons.